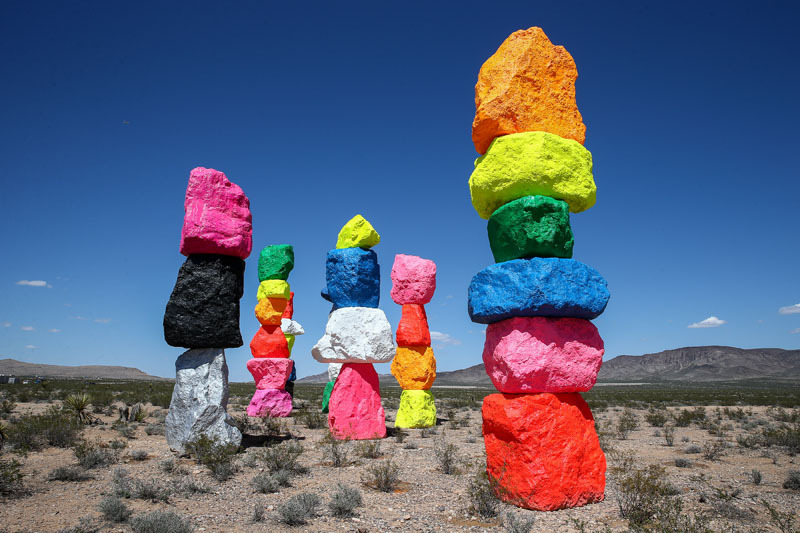 Swiss artist, Ugo Rondinone has installed a new series of seven totem-like sculptures in the desert of Nevada, just 30 minutes south of downtown Las Vegas. The installation is made up of stacks of colourfully painted, limestone boulders. 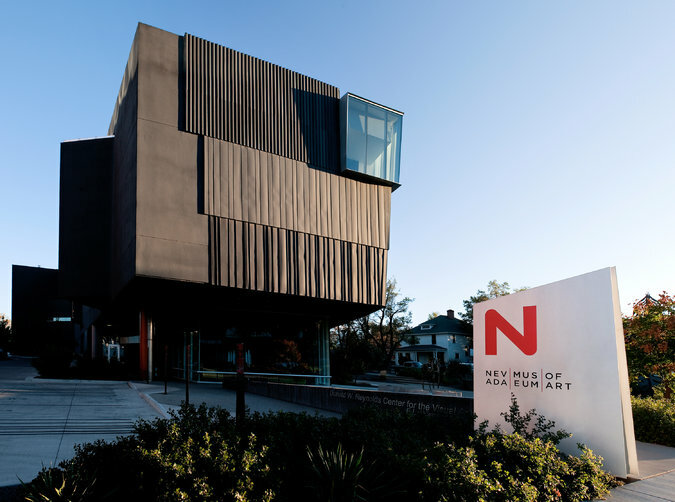 The works will be on display for the next two years (beginning on May 11, 2016). 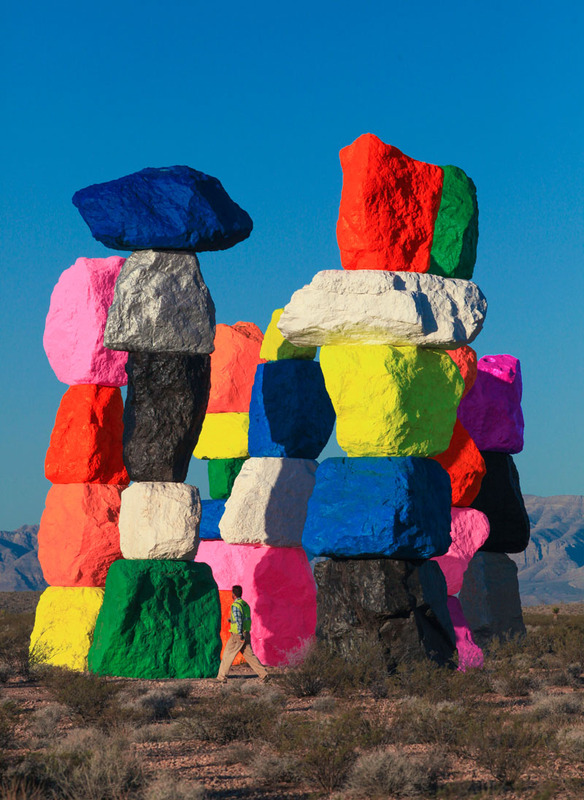 "Seven Magic Mountains" is produced by the Art Production Fund, New York and the Nevada Museum of Art in Reno. “Stacking stones is such a universal impulse, an activity that has gone on around the world as long as humans have been here," says Rondinone.